Building off the recent penguin craze, we've created a really cool game called Penguin Fish Fling. Children stomp on the launcher, flipping the rubber fish into the penguin's picnic basket. Kid's love it! And you'll love it too, because this compact, low maintenance, low cost unit will pay for itself in a very short time and will really boost your profit potential. 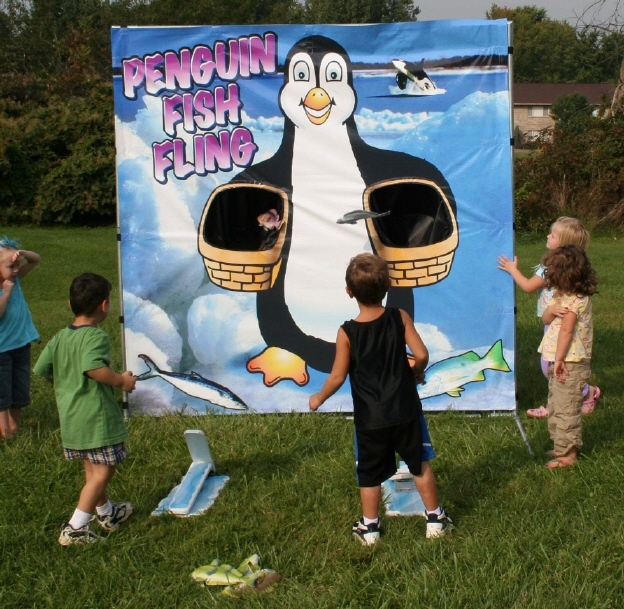 Like all of our games, Penguin Fish Fling can be set up in less than five minutes and can be used indoors or out.